A few days ago a colleague emailed me a photo taken on the ill-fated Carnival Triumph cruise ship, the one that was stranded in the Gulf of Mexico for about 5 days after an engine fire. 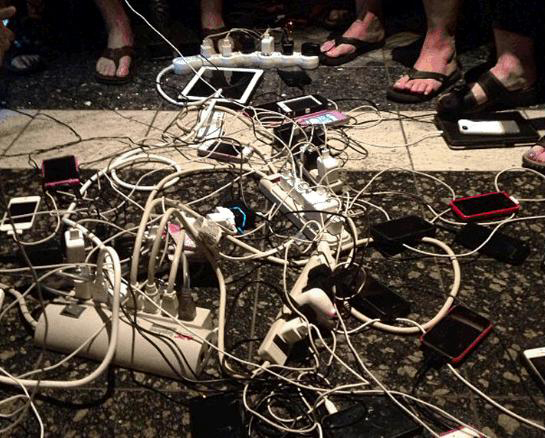 The photo (posted below, and taken from a CNN report) depicts a slew of power strips daisy chained together and ultimately attached to one of the few working outlets on the ship, with lots of passengers charging their smart phones and the like. While it’s great to see an APC product helping out those poor passengers, the photo got me thinking about the larger issue in play here, mainly how a ship carrying more than 4,000 people could be without sufficient backup power to weather the engine room fire that caused the outage. As any data center operator knows, there’s no shortage of different sorts of generators that can kick in to handle some or all of your power needs during a power outage. Surely such systems are available for cruise ships, too, right? …underscore what most travelers do not realize when they book cruises: nearly all ships lack backup systems to help them return to port should power fail because to install them would have cost operators more money. The results are repeated episodes involving dead ships, with all the discomforts and potential dangers such situations can bring. In another case, in late 2012, the Costa Allegra cruise ship, a sister ship of the Concordia, lost power after a fire in the generator room and it had to be towed under guard from its location in the Indian Ocean. In many ways, passengers aboard boats like the Triumph and Splendor were lucky because their ships were disabled in calm weather, when instead they could have been knocked out during storms, or when they were far out at sea or in pirate-infested waters, experts said. Under a rule from the United Nations [International Maritime Organization] agency in 2006, any cruise ship built after July 2010 is required to have such a system. But during the past decade, as ship operators raced to build bigger ships to supply a growing consumer demand, they chose not to voluntarily add backup systems to new vessels. 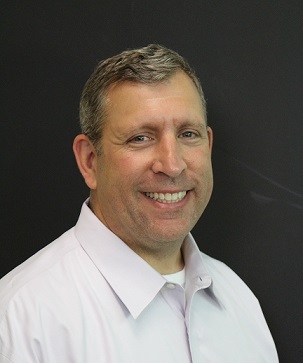 Larrie D. Ferreiro, a naval architect and historian at Catholic University in Washington, said that the choice for cruise operators was simple: A ship is just so big and a company can either put more equipment or more people on it. “The more passenger cabins you can fit into that envelope the more revenue you can get,” Mr. Ferreiro said. Today, only about 10 cruise ships have such equipment, said John Hicks, the vice president for passenger ships for the North American division of Lloyd’s Register, a consulting firm. As a guy who works for a company that’s all about supplying reliable power, I find that number 10 to be pretty dismal. And while the rationale that more passenger cabins means more revenue is obvious, where’s the concern for customer safety – or even simple customer service? Taking the risk of leaving more than 4,000 paying customers stranded at sea for days because you didn’t want to pony up for some generators – after you’ve already been burned once – just doesn’t strike me as a sound business decision. Avoiding that kind of risk is certainly a lesson our data center customers learned long ago. Interesting observation and interesting article thanks.